Sensitive, Perfectionist 5 Year Old - Joyful Toddlers! 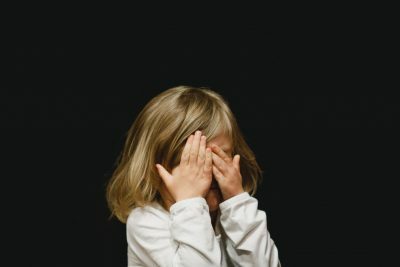 My daughter has a hard time dealing with frustration, and has a real perfectionist streak that has me worried. For example, when she works with the art supplies I leave out in the living room, she often becomes very frustrated, crumpling her work and throwing it in the trash. I try to make her feel better, but usually my advice has the opposite effect. She literally says, “you are making me so angry” when I say that art doesn’t have to be perfect, that we are learning all the time. These seem like important lessons to me, but they are falling on deaf ears. What am I doing wrong? Five years old can be a tough age because children are so eloquent that we feel like they should be able to do much more than they can. We think that because they can do something sometimes, that they should then be able to do it all the time, or consistently on demand. But children at that age are still learning that so-important skill of self-regulation. Part of that is impulse inhibition (don’t hit or scream when you’re mad), and part of that is attentional regulation (stay on task and don’t get distracted by other, more interesting things), but it sounds like what your daughter is struggling with is emotional regulation. One of the simplest descriptions I’ve heard of emotional regulation is: the ability to affect your level of arousal. This can mean calming yourself down when you’re upset/frustrated/overwhelmed, or it can mean ramping yourself up to do something boring or annoying, or to support a friend, for example. The thing about emotional regulation (just like other aspects of self-regulation) is that first of all, it is a skill that is attained gradually and gets easier with practice, and second, it is a higher-level brain function and therefore one of the first to go when a person is tired, hungry, or overstimulated. And children get tired, hungry, and overstimulated much more easily than we adults do. All of that is just background; let’s get on to your daughter and her frustration at having frustratingly-age-appropriate skills with the art supplies. It sounds like right now your attempts to reassure her are being received as criticism: “Here are all of the reasons you shouldn’t feel the way you’re feeling.” Or perhaps, “You’re feeling frustrated? Who cares if it’s how you want it to be? That’s not important.” I feel quite certain that neither of those is the message you’re intending to send, but her responses are cluing us in to her possible interpretations. In helping a child who’s frustrated begin to control their level of arousal, the first step to do is to take a moment to connect, and let them know that you understand where they’re coming from. This does NOT mean labeling. I don’t think that the phrase “I understand that you’re upset” has ever made anyone feel better (it feels more like judgement than empathy). Instead, you might start with, “How did you imagine your picture?” Listen to what she has to share, and then you might say, “That sounds beautiful! Some day I KNOW that you’ll be able to make art just like you see it in your head. I believe in you.” Another time, you might say, “It’s sure frustrating not to be able to make things the way you imagine, huh? I feel that way too sometimes when I’m trying to make things.” If she responds with interest, you might even share a specific project that you made where you had imagined it differently when you started. Avoid standing there and asking, “Would you like some grapes? No? Would you like to go outside? No? Would you like to play with your horsey toy?” Your child is stuck in negative feelings and nothing is likely to sound good. Your job is to help your child learn to switch her focus. Choose one thing and then help make it engaging: get the grapes out, start eating them, enjoy them. Tell a little story about how you and your grandmother made home-made grape juice together when you were a child. As your daughter gets better at switching her focus, you can eventually say, “What can you find to do instead?” and she will sometimes be able to choose something new and switch her focus herself. But just like all of those other self-regulation skills, sometimes she’ll be good at it, and other times she’ll need your help every step of the way. The more you support her in learning to move through frustration, the better she’ll get at doing it. The Joyful Toddlers book is out! Click here for more information on Joyful Toddlers & Preschoolers: Create a Life that You and Your Child Both Love.